The Danell Ridge chairside end table is so much better for the wear. 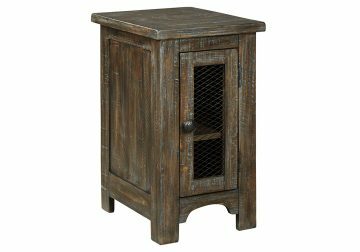 Its clean, straightforward profile is enriched with solid pine wood treated to a complex finish melding gray and brown hues. 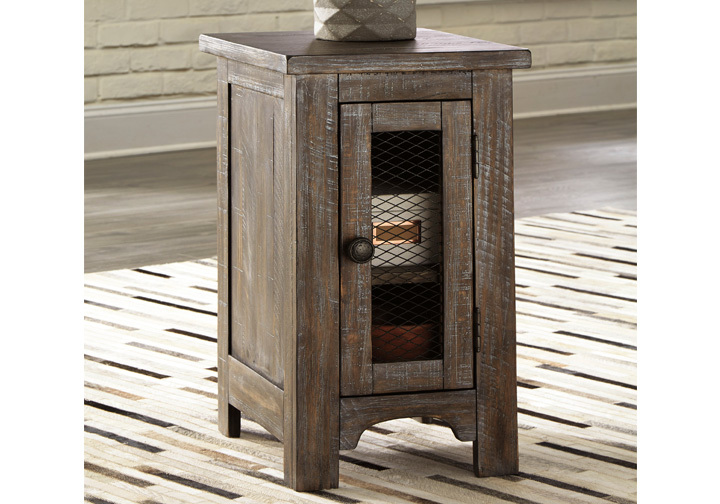 Cabinet door with wire mesh front infuses a farmhouse fresh element that’s right on trend. Talk about loaded with charm and packed with possibilities. Danell Ridge Occasional Series by Ashley. Rustic farmhouse styling, with heavily distressed rustic brown glazed finish. Inset metal grille accents. End tables feature door cabinets for extra storage space.